This week, the ESO crew travels back to to 80′s to enjoy the works of John Hughes. Mike, Mike, the award-winning author Bobby Nash, and Rebecca Perry leave JD home alone and travel by plane, train, and automobile to celebrate a some kind of wonderful pretty in pink sixteenth birthday party held in a detention hall in Sherman, IL. All in the name of weird science! We also talk to a trio of Mikes, the creative team of Curse of the Vessel, and stuff them all in The Geek Seat! Plus the usual Rants, Raves, and Shout Outs! My Shout Out this week goes out to the folks we interviewed and their Kickstarter project! I checked out Curse of the Vessel #0 and want more! I'm sure you'll do the same, so help these indie guys before time runs out! Next week, the ESO crew is taking archery lessons as they peel back the hood on CW’s hit series, Arrow. And that’s not all! ESO also takes aim with Rants and Raves, Khan Report, interviews, The Geek Seat, Shout Outs, and so much more! 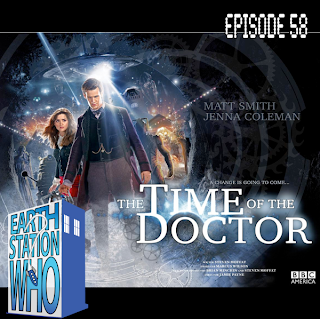 On Christmas Day 2013, the Eleventh Doctor’s time was up! Mike, Mike, Jen, the Phantom Troublemaker, and guest Josh Wilson sort through their first impressions of the 800th episode of the franchise. Did Moffat and co give us the Christmas present we wished for most, or did we find coal in our stockings? No matter how we felt, it is going to be a long wait until August 2014 when the Peter Capaldi era begins! 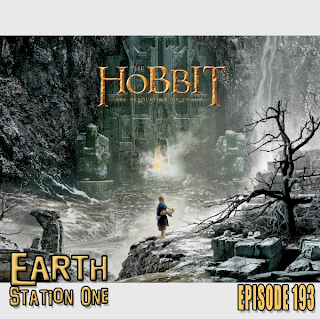 This week, TheOneRing.net’s Rebecca Perry joins Mike, Mike, and the award-winning author Bobby Nash as they return to Middle-Earth to review the middle chapter of Peter Jackson’s Hobbit trilogy. Almost as tough as facing a fire-breathing dragon, Radio Cult founders Ricky and Bambi try to rock themselves out of The Geek Seat! And speaking of dragons, Director Faber makes an awesome announcement! All this, plus Rants, Raves, and Shout Outs! My Shout Out this week is a bit self-serving. The New Legend Productions website has been getting a facelift and I would like to thank William M. Kielhorn for all his hard work on the project. It is still currently a work-in-progress, but looking good! Check it out! 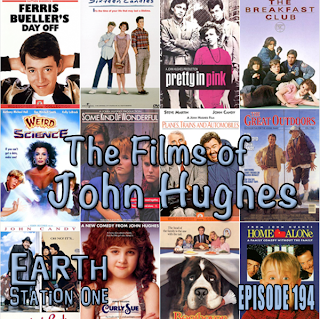 Next week, ESO celebrates the career of writer/director John Hughes. Plus, the usual assortment of Rants & Raves, Khan Report, interviews, The Geek Seat, Shout Outs, and so much more! 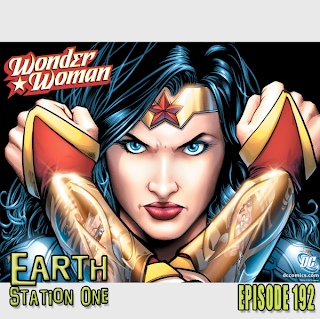 This week, the ESO crew turns their attention to the last (but certainly not least) of the DC Trinity Wonder Woman. For 72 years, the Amazon Princess has been the leading lady of the superhero genre and soon she will be featured on the big screen for the first time. Mike, Mike, the award-winning author Bobby Nash, the lost Legionnaire Darren Nowell, and the wonderful but perilous Valerie Perez share their thoughts of the character’s past, present, and future. Valerie also finds herself bound by something ever more revealing than the Lasso of Truth, the Geek Seat! 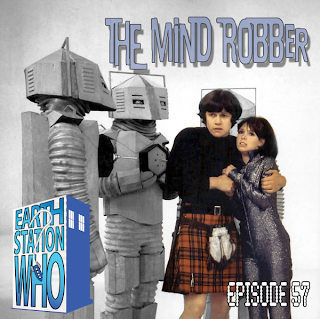 In the Khan Report, Bobby and Mike rave about their experience at Farragut Fest 2013 and Rob Levy reports on this year’s Chicago TARDIS. Plus, the usual Rants, Raves, and Shout Outs! 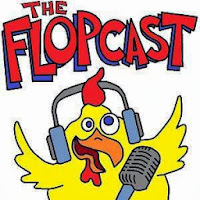 My Shout Out this week goes to Kevin Eldridge, co-host of The Flopcast. I met Kevin for the first time at Dragoncon and had a blast sharing the stage with him on a couple of panels. 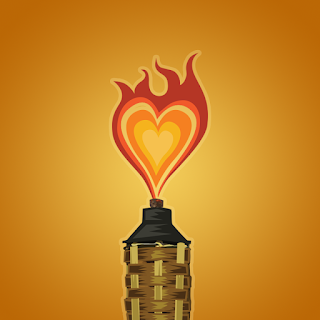 One of which is now available for download. Click the link below to listen to me, Kevin and a few friends discuss the movies and tv shows of 1983. Next week, ESO returns to Middle-Earth as we review the middle chapter in Peter Jackson's prequel trilogy, The Hobbit: The Desolation of Smaug. Plus, the usual assortment of Rants & Raves, Khan Report, interviews, The Geek Seat, Shout Outs, and so much more! The fine folks at The Chronic Rift continue their series of recorded panels from this year's Dragoncon with one that I participated in. From the American Sci-Fi Classics track, this panel took a look at the genre movies and television of 1983. The panelists include: Jessa Phillips (Good to Be a Geek), Keith DeCandido (author), Van Plexico (White Rocket Podcast), Kevin (The Flopcast), and myself. 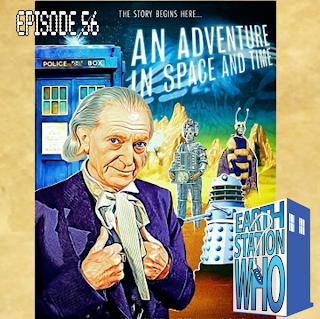 Mike, Mike, Jen, and The Phantom Troublemaker continue to celebrate the 50th anniversary of Doctor Who by traveling back to where it all began! And thanks to writer/producer Mark Gatiss, we don’t need a TARDIS to do it. The ESW crew reviews the docudrama that re-enacts the birth of a phenomenon. Plus, we Rant & Rave about other news and events in the DWU. 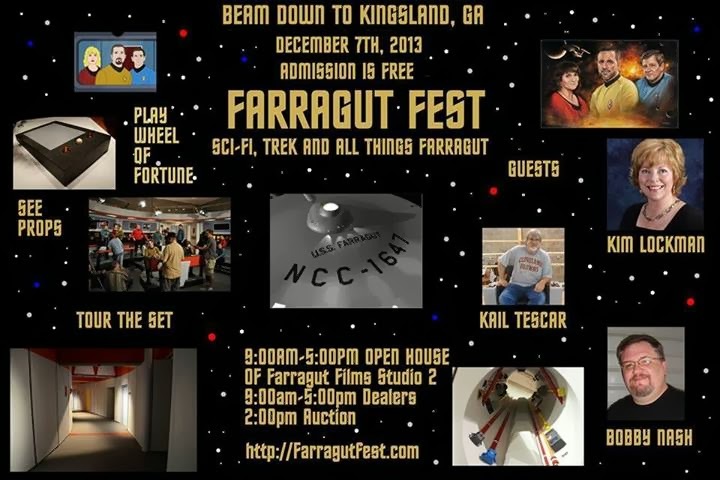 This weekend, the award-winning author Bobby Nash and I will boldly go where we have never gone before - Kingsland, GA! 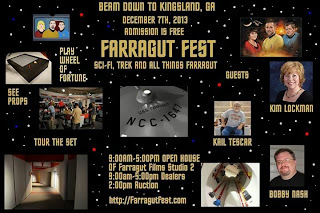 On Saturday, we'll be participating in Farragut Fest and touring the amazing sets used in many Trek fan films. I'm very excited to see them since they are near exact replications of this used the original series. A great way to spend my last show of 2013. Hope to see you there! Did I mention its FREE??? It’s the most wonderful time of the year! Also, the most stressful. 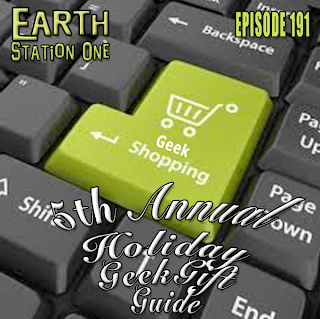 In the never-ending battle to fight the holiday blues, the ESO crew steps up once again to provide some gift ideas for the geek in your life. To make things easier, you can find just about every item suggested by Mike, Mike, the award-winning author Bobby Nash, Doctor Q, and Nikki Rau-Baker in the ESO Amazon Estore. Listen, click, and you’re done wish shopping for the year! Plus, we give author Stuart Jaffe the greatest gift of all… some time in The Geek Seat! All this, along with the usual Rants, Raves, Khan Report and Shout Outs! My Shout Out goes out to TCM for scheduling some of the best holiday movies on the planet. If you ever feel the need to be reminded what this season is all about, relax and check out any number of these fine films (I personally recommend any version of A Christmas Carol). Next week, ESO heads to Paradise Island. We take a look at the 73-year-old history of Wonder Woman from her comic book beginnings to her current incarnations. We’ll also discuss the characters and what we’d like to see in her future. Plus, the usual assortment of Rants & Raves, Khan Report, interviews, The Geek Seat, Shout Outs, and so much more!